Would you rather be a leader or the “boss”? Being the owner of a business does not make one a leader—it simply makes one the boss. Most business owners concentrate on gaining skills to improve the management of their business. The main job of a manager is to control the work environment and solve problems as they occur. This involves planning, budgeting, staffing, and organizing. The outcome of these actions is readily predicted and usually driven by profit margins. On the other hand, a leader is responsible for establishing the direction of the business as stated in their vision statement. Their passion should be evident as they are responsible for motivating, energizing, and inspiring the staff. A leader should seek out future opportunities and take risks. A leader is an agent of change, creating turbulence that can produce unpredicted but dramatic results. As physical therapy business owners we typically attend classes to improve our managerial skills and the metrics of our businesses but insufficient time is spent on learning how to lead. A leader is someone who has eager and willing followers. The key to becoming an effective leader is not to focus on making others follow you but instead by making yourself someone others want to follow. Followers need to trust your ability to take them in a desired direction. Great leaders do not work for personal gain but rather to serve others. Leadership can be defined as relational influence. Positive relationships must be built with passion and effort. Change must be created. One of the ironies of leadership is that you become a better leader by sharing your power rather than holding it all for yourself. At the 2015 GLS, Bill Hybels opened the summit with a talk on the five intangible characteristics of successful leadership; and, although one may not initially possess these intangibles, they can be developed. The first intangible characteristic is grit, often defined as tenacity. Grit assessment tools are readily available online with the best work by Duckworth.1 The actual development of grit demands that we endure some difficulty to attain our goal. Advancing grit in any one arena provides overflow to other areas of performance. Therefore, intense physical or mental work can increase one’s grit in the workplace. Some examples of recognized leaders with obvious high grit levels are Abraham Lincoln, Nelson Mandela, and Mahatma Gandhi. The second intangible deals with the development of self-awareness. Identifying our own strengths and weaknesses leads to stronger relationships with others. 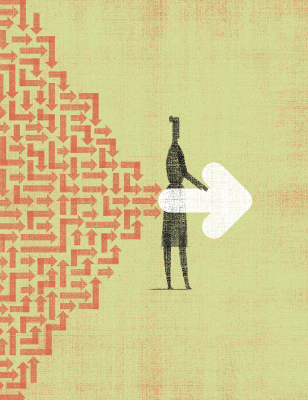 On average, most of us have three to four blind spots hindering reliable introspection. Until we can identify our specific weaknesses, we cannot begin the needed process of correcting for these flaws. In addition to recognizing these deficient areas of our personalities, Bill Hybels feels it is crucial that we recognize how our past lives influence our current status. Everyone wins when we grow in self-awareness. Resourcefulness is considered the third intangible. This is thought of as high learning agility, quick responsive skill achievement, and/or curiosity. Folks with strengths in this area surpass the average leader by 25 percent in reaching set goals. We develop resourcefulness when we successfully work our way through confused and dysfunctional situations. Therefore, stress is needed to grow in resourcefulness. The fourth intangible characteristic of leadership is self-sacrificing love. To lead effectively one must make the relationship between a leader and his followers personal. A servant-leadership style is most successful. We are all more likely to follow someone who we believe cares about us and that we admire and trust. The fifth and final characteristic is that a leader must create a sense of meaning throughout their leadership. 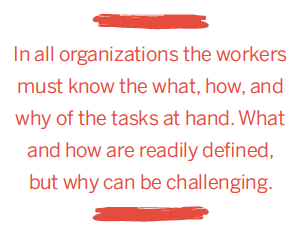 In all organizations the workers must know the what, how, and why of the tasks at hand. What and how are readily defined, but why can be challenging. This can be considered the core of why we do what we do, our “top box.” Recognizing this and working toward it is more important than identifying the actual task. The single most determining factor of whether your followers are going to own a vision deeply is the extent to which they think you possess that same vision. After more than 45 years of being a physical therapist, I find myself wondering, have I been more of a boss and manager than a leader? Since the GLS, I feel that my self-awareness has been enhanced, and I am compelled to continue in my education about effective leading. How much true leading is occurring in our profession? Are we helping with identification of visions? Do we motivate, energize, and inspire the younger therapists? Are we agents of change driving the profession forward? 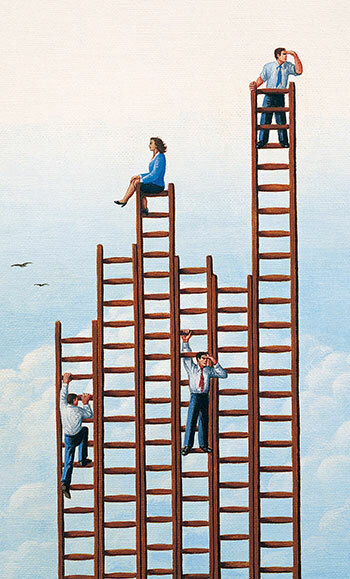 Are we scaling our leadership skills as our businesses and profession grow? To ensure the success of our profession, we must accept these roles of leadership and seek the education needed to become great leaders. 1. https://sites.sas.upenn.edu/duckworth/pages/research Accesses November 2015. Phyllis Levine, PT, DPT, is a Private Practice Section (PPS) member and owner of Functional Therapy and Rehabilitation, PC, an outpatient practice in Homer Glen and Joliet, Illinois. She can be reached at Phyllis@functionaltherapy.net. 5 surprising things I learned from starting a side business. Whether it is making plans to open a private practice while maintaining another full-time job or starting a new company while owning and operating a clinic, starting a side business poses unfamiliar challenges. My recent experience with launching a side business taught me surprising things about entrepreneurship and myself. If you are contemplating a startup or working on one now, take a few minutes to consider how these five things apply to you. Paying attention to what I avoid is one of the most productive things I can do. It took me years to realize that I avoid things that I do not already know how to do. My mind turns the work into a monster that convinces me that I will not be able to figure it out, it will take hours, or I will screw something up. While starting my side business, this most often happened with website design. While online platforms and writing code are not easy, they are not impossible either. I would put website work off for days, allowing it to grow more and more beastly in my mind. When I finally made myself tackle the tasks, I usually figured them out in much less time than expected. After going through this process repeatedly, I realized that all of the things on my startup to-do list that I was avoiding had something in common: They were things that I did not know much about. Sometimes, simply being aware of something about ourselves can change it. And this has been the case: I still feel intimidated by new things, but I know they will not be as difficult or as time consuming as my dooming mind wants me to believe. Knowing this helps me to prioritize them instead of avoid them. Working sporadically does not work for me. Startup work is different than clinic/corporate work. First, you do not get paid; second, you do not have a regular schedule; and third, it is usually juggled among other priorities that feel more pressing. Squeezing the work in during a rushed lunch break or poolside at my daughter’s swimming lessons did not work for me. I had to drop the ball a few times to figure this out. I thought I could phone-check my startup email on-the-go as I kept up with the rest of my life, but after I nearly missed an ad deadline and misread an important detail in a conference exhibitor registration, I started asking myself why I was making so many mistakes. I realized it was because I was rarely giving the work undivided attention. Due to other priorities, I would sometimes go for a few days in a row without working on the new business at all. Emails got buried and overlooked, and I lost sight of deadlines. When I committed a block of time to do my startup work every day, I felt more connected to it and made fewer mistakes. Because of my schedule, when I do the work varies, but taking the step of dedicating daily time to my new business has saved me. Identifying the types of work that energize me and those that drain me increases my productivity. Startups require the full breadth of work, from tedious internet research and legal document review to creative marketing strategizing. After researching tax rules for the state of Florida, I feel drained. However, I will not be able to sleep for hours after creating a marketing plan because of my racing mind. A startup needs both kinds of work, but understanding what kind of work gives me energy and what takes it away helps me know what to do when. After lying wide awake in bed with a head exploding with ideas too many times, I learned that it is best for me to do creative work earlier in the day and detailed work later in the afternoon or evening. An outsider’s perspective is essential. Creating a business is deeply personal and passionate work. If I did not wholeheartedly believe in it, I would not endure the financial, emotional, and scheduling stress that it demands. However, the flipside of entrepreneurial passion is that it is easy to get too close to the new products or services being created. After testing our product and refining its design over a two-year period, my business partners and I thought we knew it from every angle. We had solid selling points outlined that would alleviate the “pain points” of our customers. However, when we invited a few trusted friends outside of the business to review our selling points, we discovered a new one. Over time, we had grown too close to our product to see one of its best features. Excellence is worth delay. Despite warnings from other entrepreneurs, I would have never guessed that it would take as long as it did for our business to launch. We had a plan, we worked together well, and we had investment money. It seemed straightforward. Although, unexpected manufacturing delays, design overhauls, and the seemingly endless list of decisions that needed to be made took time. It was a side business for all of us, and our resources were limited. While we wanted to launch our product months before we actually did, we prioritized getting things right over getting them done quickly. Because we were willing to wait, our business is better. It was frustrating at times, but pursuing excellence is worth delaying timelines. If you are an entrepreneur or thinking about becoming one, save yourself from learning the hard way: Pay attention to what you tend to avoid, identify whether or not you are able to pull off work on the go, determine what kind of work energizes you and schedule it accordingly, consider the value of seeking an outsider’s perspective, and remember that excellence takes time. Holly Pennington, PT, DPT, has worked in physical therapy private practice, management, and administration in the Seattle area for 13 years. She is a graduate of Evidence in Motion’s Executive Program in Private Practice Management, partner of EcoPro Products, and a freelance writer. She can be reached at holly@ecoproproductsllc.com. 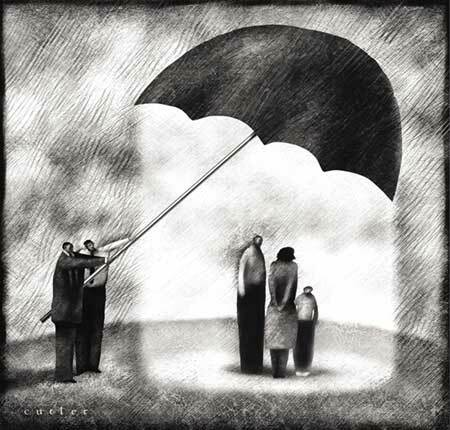 What you need to know about coverage. State Health Insurance Exchanges are organizations set up to facilitate the purchase of health insurance in different states across the country in accordance with the Patient Protection and Affordable Care Act (PPACA). The health insurance marketplace is intended to provide a set of government-regulated and standardized health care plans from which individuals may purchase health insurance policies eligible for federal subsidies. Different payors provide different plans, and the pricing of the same plan can vary slightly from one state to another. 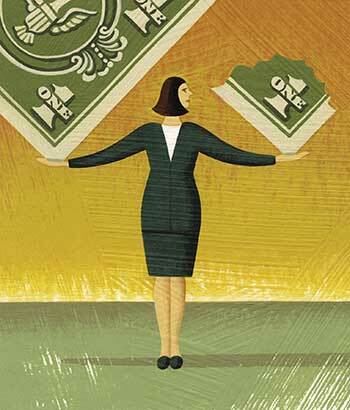 Owners re-assess the traditional models of hiring on salary. “No pain, no gain.” Physical therapists hear this a lot from patients who run five miles when they should have only run two, or something similarly challenging but unwise. Develop leadership skills in your team.